In my previous article we met oPRO – a Rails engine to build full-fledged OAuth 2 providers. We’ve already created a server (the actual provider) and a client app. For now, the server has a basic authentication system powered by Devise. Users are able to create applications to receive client and secret keys, authenticate via OAuth 2 and perform sample API requests. However, currently there is no storage mechanism for the user’s data on the client side. Moreover, we don’t get any information about a user apart from their tokens. This article will address these issues, as well as introducing some more API actions and refactoring the code. The source code for the server and client applications can be found on GitHub. Storing tokens inside the user’s session isn’t really convenient, therefore I’d like to introduce a new users table for the client app and save all the relevant data there. Having a model in place will also allow us to extract some methods to tidy up the controllers. Apart from tokens and expiry information, we will also store the user’s uid and email – as you probably do when using authentication providers like Twitter or Facebook. flash[:warning] = "Can't authenticate you..."
right inside the controller’s action, but that’s not a great idea. In the production environment, you’d probably create a separate authentication adapter for your app and serve it as a gem. However, for our purposes, it will be enough to extract the code somewhere to a separate file. I’ll stick with a model, but you may also place it inside the lib directory (just don’t forget to require that file). TOKEN_URL and API_URL are just convenience constants. access_token and refresh_token are instance variables that will be used in various methods of this class. When defining the initialize method, I list arguments in a hash style – this cool feature is supported in newer versions of Ruby and allows to pass arguments easily (you don’t have to remember their order). a request and returns parsed JSON. Here we are taking advantage of newly created authenticate! method. The next step is to code the from_opro class method that takes the user’s auth hash and stores it into the database. 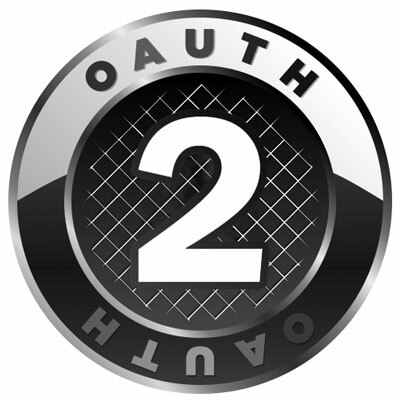 If you read my article about OAuth 2, I introduced a very similar method there called from_omniauth. If, for some reason, the auth hash has no value, just return false – this will make our controller render an error. Otherwise, find or initialize a user by the uid, update all the attributes, and return the record as a result. These are very basic methods that you’ve probably seen countless times. current_user will be employed in the views, so I mark it as helper. If something changes in the future, I will update this article as necessary. jbuilder takes care of creating the proper JSON for us. Everything, apart from the uid and email, is taken from the original view. You may add any other fields here, as necessary. You are good to go. Boot the server and try to authenticate. All of the user’s information should be stored properly. We will require @client to perform any API request, therefore I’ve placed it inside the before_action. redirect_to new_opro_token_path and return if !current_user || current_user.token_missing? Now if a token does not exist, the user will be asked to authenticate once again. It does not really matter what the update does, so for demonstration purposes let’s simply modify the last_sign_in_ip column introduced by Devise. Once again, I am returning some sample data here. Now request forgery protection will use null_session, meaning that a session will be nullified if the CSRF token is not provided, but not reset completely. As long as we are relying on the access token to perform authentication, everything should be fine. I just hard-coded the user’s id here, but that does not really matter for this demo. Go ahead and play with the API a bit! Note, however, that for the update action to work correctly, you must permit “write” access to the app when authenticating. I’ll speak more about various permissions in a later section. Access tokens should have a limited lifespan and some rate limitation should be introduced. We haven’t discussed other advanced topics, like working with scope, introducing your own authentication solution and exchanging user’s credentials for a token. So, the last, but not the least, part of this article will cover all these topics. Hold on tight!